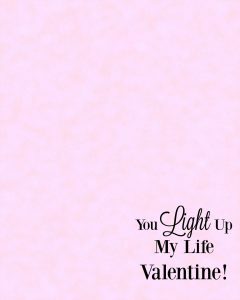 Glow Sticks Free Printable Valentine Cards: "You Light Up My Life Valentine" | Happy Deal - Happy Day! 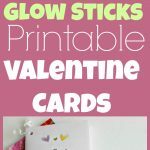 Here is an affordable and super fun non-candy Valentine’s idea for you that includes free printable valentines card! 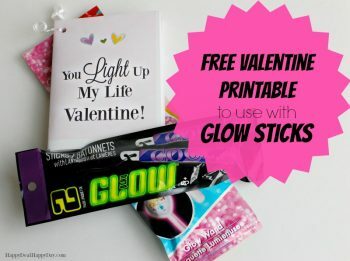 Head to the Dollar Tree – and grab some glow sticks! What kid doesn’t love a glow stick, right? 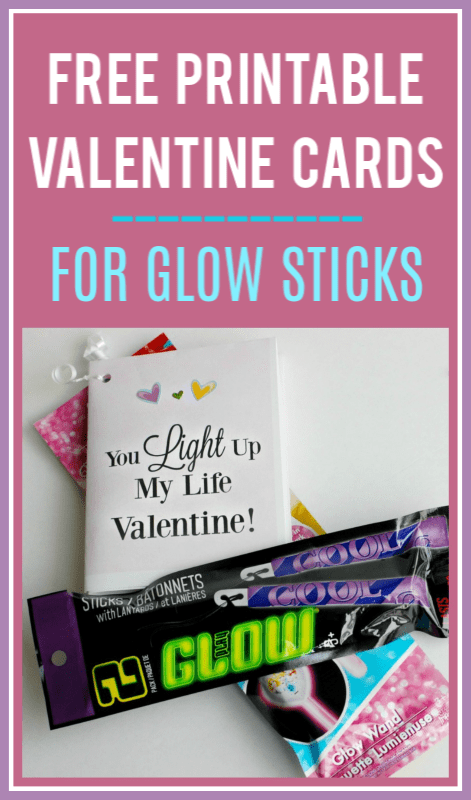 They are cheap, and this is a great non-candy gift idea for Valentine’s day! 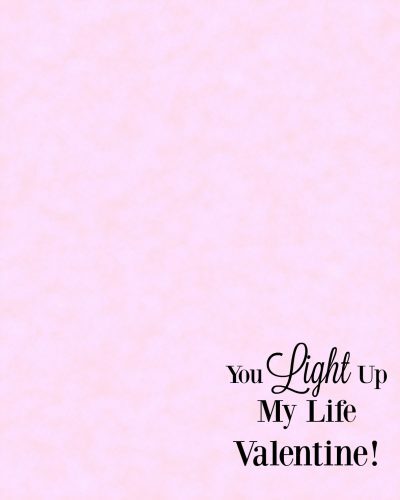 Here is your “You Light Up My Life Valentine” FREE Valentine’s Printable foldable card. 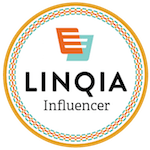 Just click on the link and download it to your desktop. Then right click on the file and select to print it. Be sure to select that you want it to fit the page. I printed on card stock, but you could use normal copy paper as well. Fold the paper “hamburger” style first, and then fold it in half again to create a card. You could just cut out the text and attach it as a tag if you do not want this as a fold-able card. Then get a single hole puncher and punch it once in the corner. 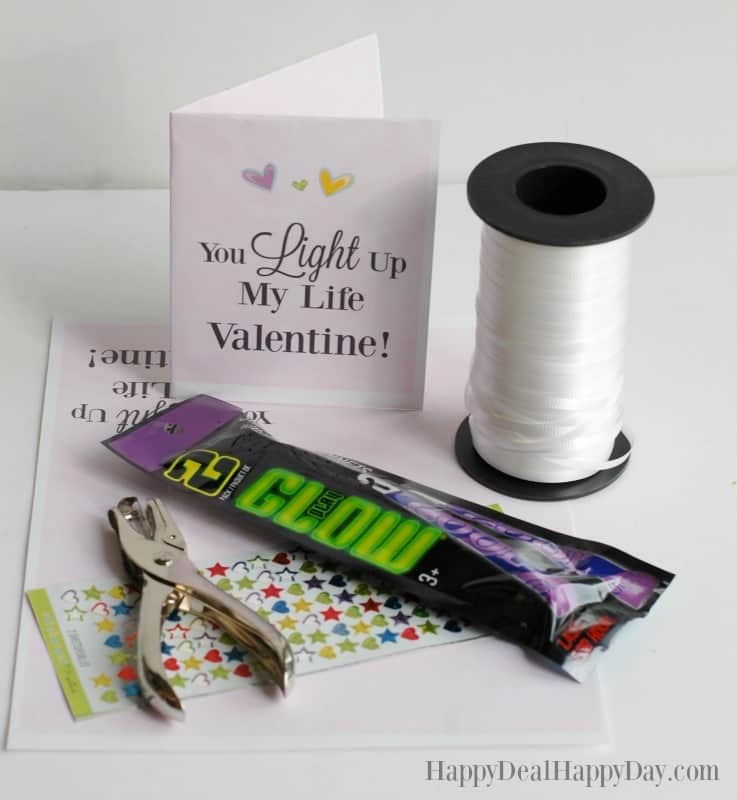 String the curling ribbon through the card hold and on the glow stick packaging hole and tie a knot. Then grab a pair of scissors and pull on the ribbon to curl it up. Pull the ribbon across the scissors blade while continuing to press with your thumb. You need to make sure that you do this quickly. The pressure of your thumb plus pulling the plastic ribbon will cause the ribbon to curl. You can also embellish the front of your card with some Valentine stickers – I had some heart stickers that I added. 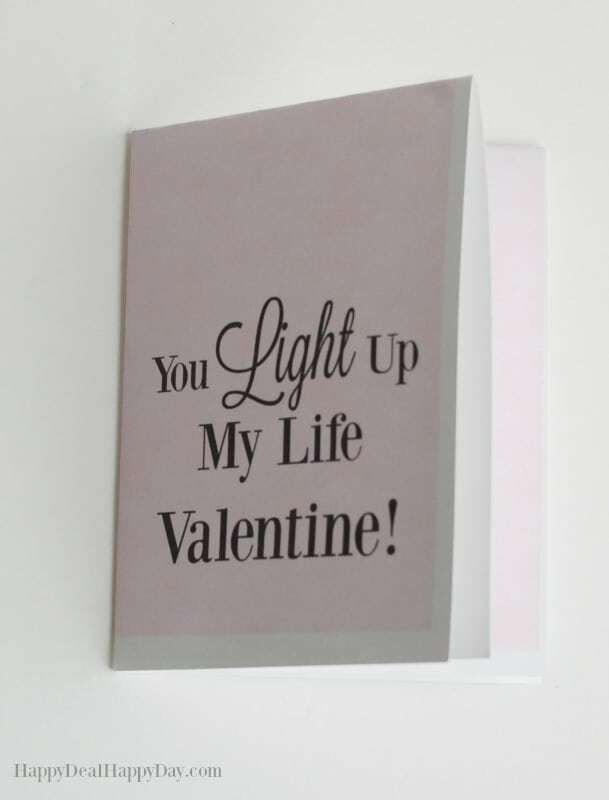 Then you can write a personalized message on the inside of the card! 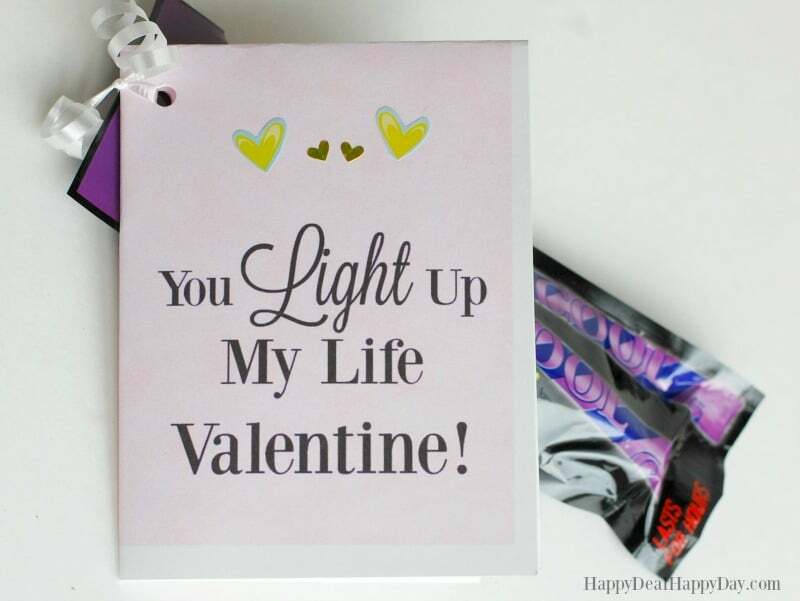 You can even add a folded dollar bill or two in the shape of a heart! Check out my Facebook Live video where I put it all together! 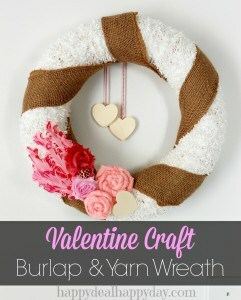 Looking for other crafty ideas for Valentine’s Day? Check out this Valentine Burlap and Yarn Wreath! ← Gerber Baby & Toddler Doorbuster Sale for 60% off! 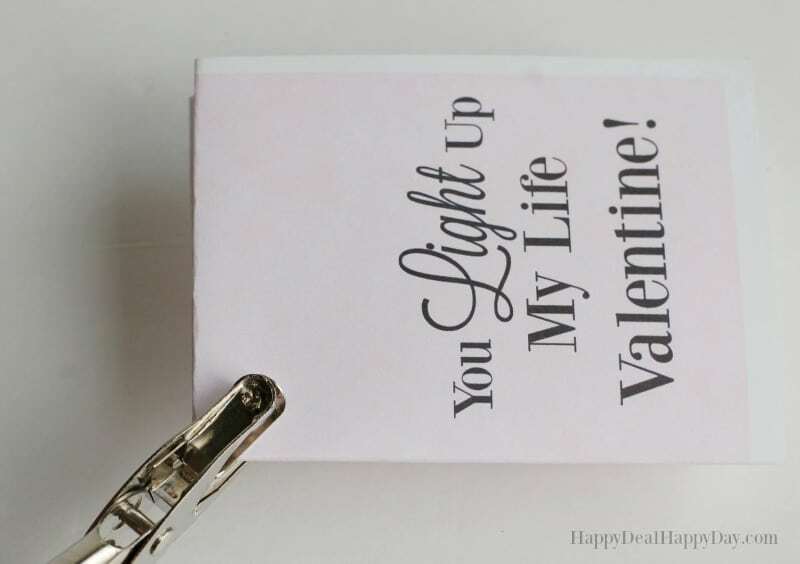 These Printable are so cute! I’ll have to pass this along to my mom who’s a teacher. Her students would love something like this for their fun.